It is no secret that I am a great admirer of Santi and though others had a good game, he really had an excellent game in all departments with his passes,dribbles,touches, shots (unlucky not to score) and of course setting up the goal for Welbeck, who leaped like a salmon to powerfully head the ball past Foster in the WBA goal. The guy is rejuvenated and Welbeck is tireless in contributing be it in attack or defence, his energy is awesome. Ramsey is still not at his best and yet again the goal he is crying out for was again just wide of the post. No doubt he is a talent, but perhaps needs to go back to basics and cut out the Hollywood passing for the time being. To see Giroud back together with Sanchez and Welbeck was, I feel, an experiment, but will pay dividends as the season progresses. Sanchez needs a rest but we are so over reliant on him so far this season, it has to be timed carefully. There is no doubt that Mertesacker plays far better with Koscienly besides him, and though not always pretty the defence locked far more solid, though improvement is still needed. There were times during the match where I looked back to the George Graham days. Resting Gibbs was the right decision, but our injury curse struck once again in the shape of Monreal so Gibbs had to play the majority of the game, though he suffered a slight injury towards the end of the game, but that has yet to be assessed. Martinez is growing with every game and his distribution is far better than OPIG and possibly will provide competition, which is no bad thing. Wenger had this to say after the game. Which I think is a fair assessment. One has to mention the banner. “I don’t want to comment on that. I try to do my best for this club that I love. We are very united with the players and staff around the team, that’s all you can do. “It’s easier to deal with the upwards than the downwards, but you cannot be a manager and have only one side.” Diplomatic or what ? He may not admit it, but there is a proportion of the fan base who are losing patience and of course the media take great pleasure in fueling their desire. I have made my stance on the manager quite clear but to be fair this ever increasing injury list doesn’t help his cause to try and cement a unit that can play week in and week out with just the odd subtle change. The midweek match against Southampton will be a far sterner test and then perhaps we can truly see if we are progressing. Is a very enjoyable victory over an un-inspired, un-motivated and injury ravaged team languishing just 2 points off the bottom of the Bundesliga the fillip our team need to start a good run in the PL? We shall see today. Let’s be clear, Weds night’s win was a joyous event; we played well in all departments and saw some fine individual performances plus the return to form of some of our most important players but it was not a performance the Dortmund players will be happy about. Where was the pressing? Where was the pace and defensive cohesion? 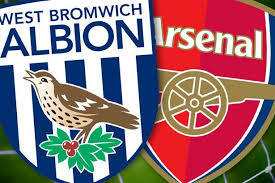 Let’s hope WBA play as badly today. West Bromwich are an odd club. One of the original founding clubs of the Football League, they won the title in 1920 and last won the FA Cup in ’68 with a goal from the mighty Jeff Astle (whom I will never forgive for missing a sitter for England in the ’70 World Cup vs Brazil). Yet they have never reached the heights of their Midland neighbours. That said, WBA have a strong fan base with an average gate of 25+k which means they sell out the Hawthorns almost every match. If we are to judge the result of a game on finances we should steamroller them. Their biggest signing is Sessegnon at ￡6m less than some of our reserves. The player who is attracting all the headlines is Berahino – a product of the WBA youth system and the type of player to cause BFG nightmares, a small, pacy, cool finisher and a player I could easily see at Arsenal. Both teams have porous defences but ours could be improved by the return of Koscielny – we have really missed him though Monreal is growing into the CB role. Once again the fates have been less than kind to Mr Wenger’s plans, another game another long term injury, this time to the crucial Arteta. I had not realised how influential the steel coiffured Spaniard is – without him we are not as good and the idea of playing the journeyman Flamini for any length of time is worrying. Perhaps with the return of Koscielny and Debuchy we will see whether Chambers can be our much hoped for DM. Who knows? Could be another big day for young Damian Martinez though there is a chance TPIG will be fit. He did well last week so his confidence must be high – let’s hope it remains so tomorrow. The return of OG is well-timed as it allows Welbeck a little more time to recover from injury. Scoring on his return to the PL he will want to assert himself as Arsenal’s Number One striker. I see a future in which Welbz plays left, OG central and Theo on the right with Alexis in the DB10 role, though just where Ozil plays is open to discussion. It is a few years since I highlighted famous musicians born close to football grounds but I cannot leave the Hawthorns without mentioning two of my heroes – Robert Plant of Led Zeppelin and Phil Lynott of Thin Lizzy were born in West Bromwich (he left for Ireland at the age of 4). Metal rules in the Midlands! Lunch time kick off despite our playing on Weds evening seems a bit harsh but the FA don’t do AFC favours, do they? Add in the huge and worrying injury list and there must be cause for concern today; yet we start as favourites. We have two players in exceptional form in Ox and Alexis, some others are returning to their expected consistency and WBA have their own problems. Reading the paper this morning, and finding an article on the reasons of the Arsenals injury problems, I read that we have enlisted the help of a fitness Guru, in an American called Chad Forsythe. Apparently Chad helped the world cup winners Germany, and caught the Arsenal Manager Arsene Wenger’s attention. Now Chad Forsythe’s methods are of Mindset of the player’s also Nutrition and movement and recovery, he also sorts out different training regimes for individual players. Well after reading about how this guy works , I could understand how our Manager would be impressed with that, as isn’t that what he did in the early days. Apparently after Wednesdays game with Dortmund we have lost Arteta (shin) and Ya Ya Sanogo (hamstring) so we are losing players after every game. What Forsythe has determined so far, is that our multi million pound training complex, could be one of the problems, the perfectly flat training ground is not preparing our players well enough, to play not so perfect surfaces at other grounds. Well Chad Forsythe may me a specialist in his field, but in my own football experience of 30 years playing football on some of the worst grounds in the country, this all sounds a bit far fetched to me. Now I can go along with, you are is what you eat, but surly the body was designed to walk and run over any surface, of course should it be bumpy you would show caution, but lets face it how many professional grounds are that bumpy. Now of course I am no Chad Forsythe, and no one will listen to me, but if this is what Chad brings us then if he is right our injuries should start to improve, and lets face it even with Chad’s idea’s which i find strange, I feel we are clutching at straws. Body armour would be my idea, but what do I know, have a good day. This is one of Frank Sinatra’s career highlights (just listen to the arrangement by Billy May and the Nelson Riddle Orchestra). The lyrics tell of a gambler and his relationship to luck and romance. Some people say “you make your own luck” which quite frankly is total bolleaux. Whilst accepting that hard work has an influence upon results there is such a thing as good fortune and in Arsenal’s case, bad fortune. How else can one explain the two long term injuries in the only area of the pitch we were inadequately covered? Or the shots to goals ratio or the increasing number of wrong refereeing decisions or the opposition scoring more goals than shots taken or two GK’s out or Giroud not in the squad as Welbz gets hurt or the Ozil and Theo situations or the ….. you get the picture. Mr Wenger says he is confident we will have a good season, for him to be correct tonight is a good starting point because we play a fine opponent. Borussia Dortmund are tonight’s victims and are having their worst start to a season under Klopp. They have a lengthy injury list yet have already qualified as winners of the group. 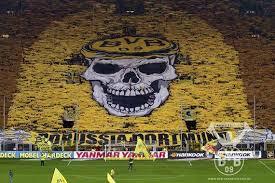 As I have written 3 times about Dortmund in the past 2 seasons – that’s your lot about them! They can be beaten. This is How: We attack with more menace, defend with greater cohesion And our Luck turns. With those three elements in place we can beat anyone. No need to go through the team, if you bother to read an Arsenal blog you probably have as good an idea as I do! 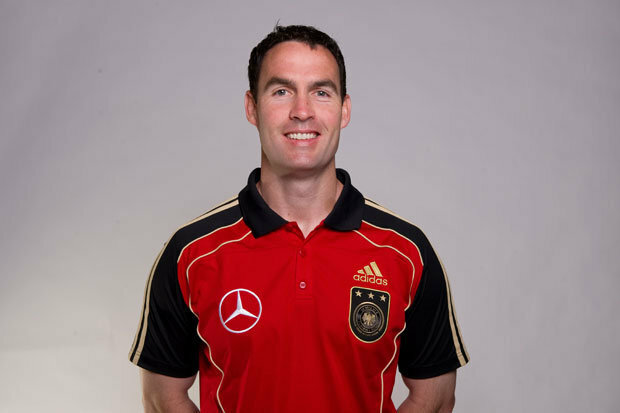 Instead let us look once again at the midfield …. to Flamini or Rosicky? Should Santi be dropped for Podolski? If Welbeck is injured it must be better to play Podolski with Alexis central than to give another start to Sanogo. Rosicky may be less defensively capable but Flamini brings nothing to the attack and Tomas always brings momentum from midfield. We are at home – we attack. Simple. But Mr Wenger will almost certainly disagree and start with the Arteta/Flamini axis. What a night for young Martinez. A first home start for the 22 y.o. Argentinian – please let the gods of good fortune shine upon him and give him an error free evening. Ox to score tonight. You can do it for England now do it for those who pay your wages! Very Important. How do we influence a change of luck? I have tried changing lucky socks – didn’t work. I have moved my Ganesh to face the TV screen – nothing changed. Stopped using my lucky toothpaste – nada. Changed my lucky Valpolicella to a so far unlucky Merlot. Stopped eating the lucky cake and am trying various crispy snacks. Stopped wearing my 49’er shirt and gone back to wearing the home shirt. All to no avail. Does Arsene Wenger “get” defending? Arsene inherited the George Graham inspired defensive set up. Dixon, Winterburn, Bould, Adams and Keown had been drilled to perfection, or as near as is possible to get with human beings. With that lot to choose from he could concentrate on his mid-field and attack safe in the knowledge that the backdoor was secure. Since the demise of those great players, I can recall Wenger signing only one top, top class central defender, Sol Campbell. 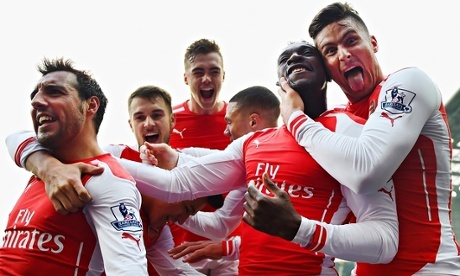 When it comes to full-backs, Lauren, Cole and Sagna stand out from the otherwise general mediocrity. Yet two of those were allowed to leave with no real efforts made to retain them. With all due respect to Gibbs, his injury problems alone preclude him being considered an adequate replacement for Cole and why Sagna was allowed to leave is beyond my comprehension. Too old at thirty? Utter rubbish! When we look at recent defensive recruits a list of poor quality signings is revealed, Jenkinson, Santos, Monreal in the full-back category, while at centre-back Mertesacker is limited by a lack of pace, Vermaelen came promised much, got injured, lost confidence and his place, went to Barcelona, where incidentally he has not yet started a game, and Koscielny who has been hampered by the need to cover for Merts immobility and is himself now a long term injury worry. Others include players such as Senderos, Upson, Stepanov etc. The paucity of quality centre backs over a period of time is revealed by the fact that Wenger has played Song, Diaby and now Monreal in the position, a situation that should not be tolerated in a “top four side”. All of the above leads me to the conclusion that Arsene just does not “get” defending. I don’t think he “values” defenders. Full-backs have to be flying wingers, centre-backs have to be playmakers and strikers, when in fact the primary function is to defend, defend, defend. If you are going to buy an Ozil, and play him on the wing, you need a sound defender behind him not someone who is going to bomb forward at every opportunity. If you are going to allow your mid-fielders to attack as a unit you need pacy defenders to stay back as cover. For an instance, for United’s second goal on Saturday, at the moment we lost possession all ten, yes all ten outfield players were in the Manchester half of the pitch, for all the good they were as defenders they may as well have been in a Manchester nightclub. There were two other significant signings in the summer, Debuchy, a recognised premiership standard right-back, and Chambers a young man learning his trade. Unfortunately just as we were starting to see the quality of Debuchy he got injured, whilst Chambers had a baptism of fire, playing either at right-back or centre-back in almost every game of the season so far. I describe Chambers as “a young man learning his trade”, but what trade is that? A right-back? A centre-back? A wing back? I don’t know and I suspect that Wenger is equally in the dark, whilst poor Callum Chambers must be entirely bewildered. The January transfer window is approaching, for once we are not crying out for a striker, indeed we may have too many, Podolski, Campbell and Sanogo just don’t get a look in, Welbeck seems to be a fixture, Giroud is back from injury, Walcott is nearing a return and then there is the magnificent Sanchez. We also have ample numbers in mid-field, so let’s bolster the defence, let’s buy a top quality centre-back and, if possible, a right-back, but most of all let’s get the defenders to understand that their duty is first and foremost to defend, defend, defend.